Well, you're in luck. 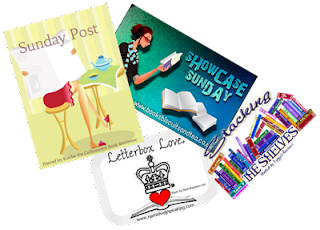 As part of the Under Nameless Stars blog tour, I'm welcoming Christian Schoon onto the blog today. 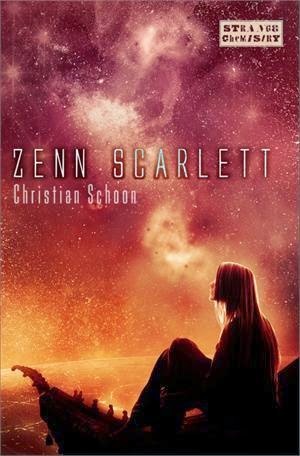 I loved space-vet-in-training Zenn Scarlett's first adventure, and now she's back again in book two! Over to Christian to tell us more about the weird and wonderful animals that an exovet may come into contact with, with a special tour of the Ciscan Cloister facilities! 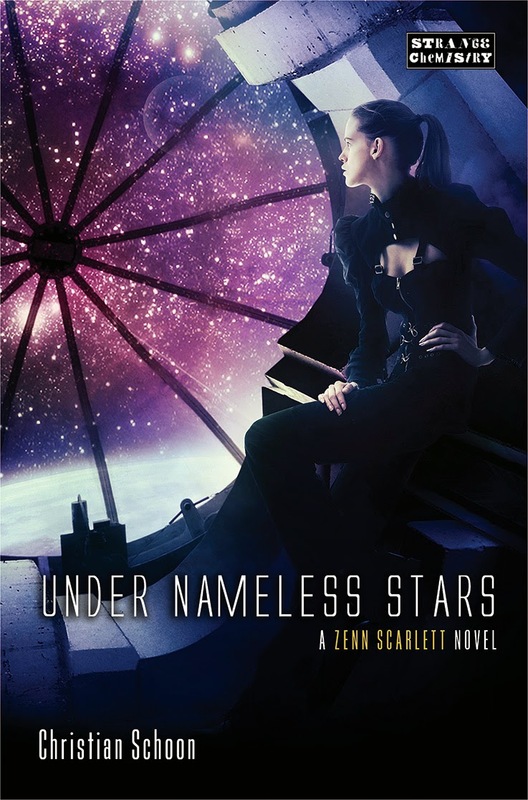 Hey and thanks to Vicky for inviting me to break into your Earther net-stream for this leg of the Under Nameless Stars blog tour extravaganza. Vicky’s stop on the tour is especially noteworthy for both Zenn and I, since the new novel is officially on sale worldwide today! So, we’re broadcasting at your now from the com shack here at the ancient Ciscan Cloister Exoveterinarian Training Clinic on the far eastern edge of Valles Marineris, Equatorial Colonial Admin Sector. I’m sure you’ll understand if our signal drops out now and then. You know how tough it’s been to get replacement parts for radios, or pretty much anything else, here on Mars ever since the trade rift with Earth started. Hard to believe that was two decades ago. Anyway, since I’m wearing one of the Cloister’s last functioning screen-sleeve uplink units, we can head outside as we chat. That way you can get a glimpse of the clinic grounds and meet a few of the alien life forms housed here at present. As we walk over to the main infirmary building, you’ll notice the impressive rock walls on either side of the valley. The red rock cliffs are roughly 1,500 feet high in this part of the Valles, and if you squint you can see the barometric generators mounted on the canyon walls at regular intervals. The transparent membrane of bound-ions these generators produce stretches a sort of invisible “roof” over the valley, trapping air and water vapor inside. It’s thanks to these bary-gens that the valley floors of Mars are inhabitable, and more important, farmable, for the colonists here. As we approach the huge infirmary building, you can tell by the immense sliding doors that this building is constructed to accommodate even the largest alien animals that are cared for at the Cloister. I’ll just poke my head in and… yes… there’s Otha Scarlett, Zenn’s uncle, at work on a whalehound. The hound is a young adult male, about 80 feet long, something like an over-gown otter, but with eight legs and an elongated snout packed with very long teeth. Otha is using the infirmary’s mechanical lift to raise him high enough to bandage what looks like a bite-wound on the ‘hound’s neck. The animal likely got this while rough-housing with his pen mate, a somewhat larger female. The owners of these two magnificent animals are hoping to get a litter of whalehound pups to take back and release on their ocean-covered home planet. And while the two are a prime breeding pair, whalehounds are reluctant breeders in captivity, so their owners are upping their chances of success by bringing them here, where the Cloister exovets have the expertise needed to encourage the ‘hounds to bond and mate. Whalehounds aren’t especially aggressive, but Otha is using the sedation field dish to calm the animal down as he stitches the wound and applies a coating of derma-plast sealant. The young ‘hound should be well enough to return to his pen, and his rambunctious girlfriend, in a few days. Leaving the infirmary, we descend a series of stone steps to the area of the grounds where various other aquatic species are housed. Here there is an assortment of pools and holding pens. At the largest pool, we peer into the early morning fog that drifts across the surface and spot Brother Hamish shoveling something into the water from a large wheelbarrow. Hamish is the Cloister’s sexton, or all-round handyman. Or, we should say, handy-bug, since he’s a Sirenian Coleopt, basically an eight-foot-tall sentient beetle. The mist on the water lifts, and a huge, serpentine head emerges, followed by the 200-foot body of a Tanduan Swamp Sloo. The great, plesiosaur-like reptile paddles over to see what Hamish is up to and, once she realizes he’s feeding her, she lowers her tubular nose to the water and begins hovering up the pellets of dried insectoid flakes that he’s dishing out. We wave a greeting to Hamish, who rattles his claws at us in reply, then move along in our tour. Setting out across the Cloister gen-soy field, we wade through the fragrant blooms of the waist-high plants and are surprised when we suddenly feel what seems like a pair of small, clawed paws gripping one of our ankles from behind. We spin around. But there’s nothing there! Now, we feel the paws clawing at our pants pocket. A moment after that, the air before us shimmers, turns a hazy violet-and-cream color, and then resolves into the shape of what looks like a cross between an Earther raccoon and a lemur, topped by a foxish head with large, tufted lynx ears. It’s the Cloister’s resident rikkaset, Pyewhakit. Like all rikkasets, Pyewhakit’s fur is made of refractive, crystal-impregnated keratin that allows him to bend light and become more or less invisible at will. It’s an especially effective defense mechanism. Unlike Zenn’s companion rikkaset Katie, Pyewhakit never learned to use sign language. Nonetheless, as he sits up on his haunches and trills at us, it’s clear what he wants. Fortunately, we’ve brought along a handful of dried cat food pellets, which is what he smelled in our pocket. We offer him this, and he gives us a polite lick on our hand before he takes the food in his dexterous front paws and delicately consumes the crunchy morsels. With Pye trotting along beside us, we reach what Zenn likes to call the Cloister’s “Rogue’s Gallery” of cages, pens and fenced paddocks. Here, a wide variety of alien patients and other long-term “guests” reside. The first large cage seems to be empty, its floor covered by a dense layer of dried leaves, branches and rocks. I rattle the heavy chain-link fencing and stand back, as the cage’s occupant explodes up out its hiding place, throwing a rain of leafy debris and dust into the air. Pyewhakit fluffs his fur and promptly vanishes from sight. He’s wise to do so. The creature we’ve disturbed is a Sirenian bloodcarn – a thirty-foot, predatory centipede with a head section resembling an immense tarantula. It rears up, hissing as it lifts its bright orange body and hundreds of short, undulating feet up toward the roof of its enclosure. The bloodcarn was purchased from an illegal animal poacher at the black market in New Zubrin. Its owner bought it when it was a barely out of the larval stage, a mere three feet long. The misguided owner thought it would make him look cool to possess such a creature. But as it grew, he realized he wasn’t prepared to care for a creature as big and vicious as an adult bloodcarn, so he abandoned the animal in a remote canyon, where naturally it came into conflict with the local settlers. After it was re-captured by the authorities, it was brought to the Cloister, where it will now have to live out its life in captivity. It’s a sad story, but people simply seem unable to learn the lesson that some animals do not make good pets and should be left in the wild where they belong. We don’t linger at the bloodcarn’s cage, but move on. After we’ve gone a safe distance, Pye allows himself to become visible again beside us. We stroll on, passing by the enclosure of a pack of Procyoni yotes – buffalo-sized, hyena-like scavengers with massive, bone-crushing jaws – then stop to listen to the nesting song of a pair of Akanthan axebill warblers, as the big, ostrich-like birds serenade each other with intricate harmonies that rise and fall as they bob their heads and shake their enormous, red-and-yellow-striped bills in time to the music. Finally, we loop all the way around to the ruins of the old chapel building, the tiles of its collapsed roof littering the site where it once stood, the huge sandstone blocks of its fallen walls lying in disarray like great dominoes strewn by some giant hand. It was here that Zenn had a truly extraordinary encounter with a young sunkiller being treated at the Cloister. For those unfamiliar, the Greater Kiran Sunkiller is a creature that grows to have a 1,500 foot wingspan, drifting on the air currents of its homeworld like a colossal, two-headed pterodactyl. A birth defect in this particular sunkiller’s wings prevented it from regulating its altitude, and it was brought to be operated on at the Cloister. Unfortunately, just as it was about to be… oh… well, that’s actually quite a long story and we seem to be out of time, as the transmission window for this broadcast is closing. Something to do with upper atmospheric disturbances. So, it’s time for me to say good-bye. Thanks again to Vicky for letting me give you all this brief tour of the Ciscan facility. 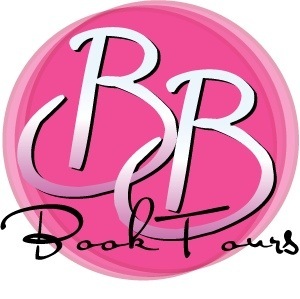 And don’t forget to enter the blog tour contest and answer her question about Under Nameless Stars. I mean, really, what Earther wouldn’t want to win free books and a chance to Name Their Own Star? Signing off from Mars, this is Brother Schoon and the other humans, Alien Sentients and animal guests here at the Ciscan Cloister. Cheers! 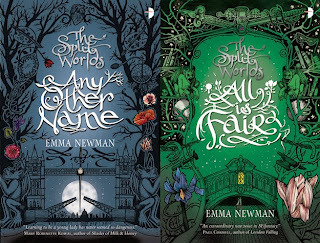 To celebrate the publication of Under Nameless Stars, Strange Chemistry is running an exciting competition with a different question at every stop on the tour! You can find out who else is on the tour here. 15. In the opening scene, when Zenn comes to, she's sharing the cage-crate with what other animal (besides Katie and Liam...)? My contributor copy of the Sword and Laser Anthology has arrived! This is the first time I've seen one of my short stories published in print, so I'm pretty excited! Want to take a peek? I've got another two short stories coming out in anthologies soon, and it's still a race to see which will be my first ever published short story. It's looking likely to be the Sword and Laser story, but there's still a chance one of the others may leap ahead in the final stages! I've dipped into a few of the other stories in the Sword and Laser Anthology already and there's some fantastic stuff in there. I'm very proud to be part of it, and I'm looking forward to reading more. Part fairytale, part historical fiction, part harrowing story of Nazi concentration camp survivors, and part... something else. It’s quite hard to pin this book down as any one thing, as it weaves many different strands together, and until the end it is often quite hard to say which parts are really happening. I loved this; I was kept constantly surprised and was never quite sure what to expect next. I loved how the different stories and timelines mirrored each other, even the little snippets of fairytales that Greet and Krysta relate. 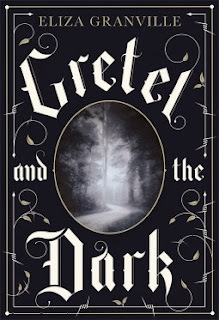 I loved the darkness that crept through from the fairy stories into the other narratives, and vice versa, and the way the stories the characters told each other seemed to have a strange ability to affect reality (something that is emphasised even more by the end of the book). This isn’t a fairytale re-writing though. Stories wind their way through the book, sometimes obscuring and sometimes revealing a little more of the real characters and the truth under all the stories. This is very effective, as the main character has obviously been through something so terrible that she has to almost dance around it, dipping in and out, winding magic and stories around it in order to be able to face it. 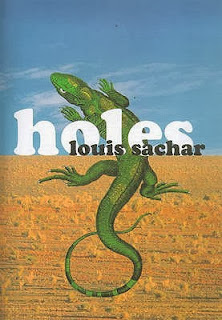 At points it is almost as though the reader must slash through a forest of thorns made up of stories, like a protective layer, in order to get to the heart of the book. The darkness under the surface of most fairytales lends itself well to this, and we’re reminded that real life can be just as horrible, and that monsters really do exist. The ending finally pulls all these strands and themes together. I have to admit that the ending at first came as a bit of a blow to me. 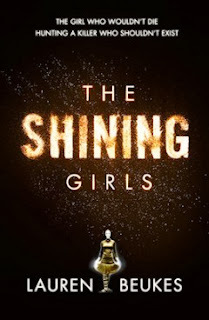 When I began to see what was really happening I was disappointed; the book was strange, and seemed to be pulling towards something very unique and dramatic. This sudden change in direction, though not unexpected, was not what I was personally hoping for. It’s hard to explain without giving away spoilers, but it’s the kind of revelation that could perhaps spoil the book for certain readers. However, by the end of the book I came to really appreciate the ending for it was doing. The author is saying something about the power of stories and fairytales, and about memory and the truth we construct for ourselves. 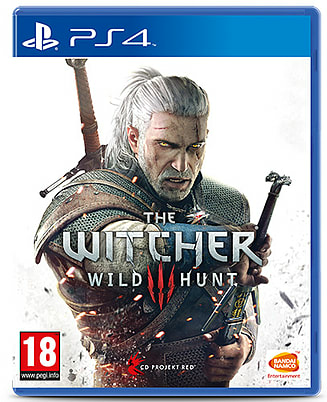 I do wish that this could have been achieved without dropping one storyline so suddenly; some of the mysteries and developments in it felt a little pointless because of this, and could have been woven in better. The ending also unfortunately made a lot of the tension of this part of the story irrelevant, which was slightly frustrating when looking back. If you fear for a character and then find out that they were never in any real danger, or not the kind you thought they were in, it can sometimes cheapen the whole thing. Thankfully, this is not the major criticism that it sounds like it might be, as all the stories and characters tangled together in this book are connected in a way that allows for a satisfying end. There is a lot going on here that is very clever, and it is a captivating read from beginning to end. 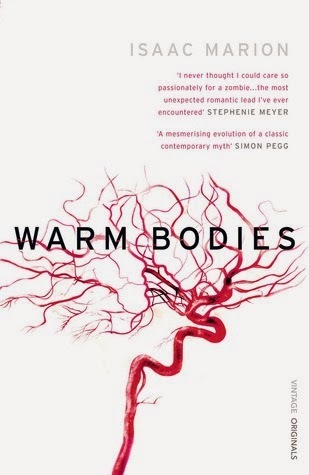 As well as an intricate and interesting structure, the book is overflowing with absolutely beautiful writing, creating a strange, magical and disturbing atmosphere that fits the plot so perfectly. The author’s characters are larger than life, like fairytale characters, but they are also believable and flawed and fascinating. There is plenty of humour running through the book too, which is important in a story that doesn’t shy away from themes such as prejudice and selfish obsession, and the terrible realities of atrocities in Nazi camps. The beauty and the magic of the book contrast startlingly with its brutality, just as in many fairytales. This is a very well written and constructed book. So, perhaps not quite what I expected and perhaps not quite the ending I was hoping for, but in spite of that, probably the right ending for this book. A fascinating and beautiful read and definitely recommended, especially for those readers like me who love fairytales and really believe in the power of stories. So, it’s been an interesting (and very busy) time for me. Over Christmas and January I was doing an internship at Angry Robot, and since then I’ve been catching up with stuff and exploring some new opportunities. It’s been fun! Yesterday I listed my favourite books of 2013. 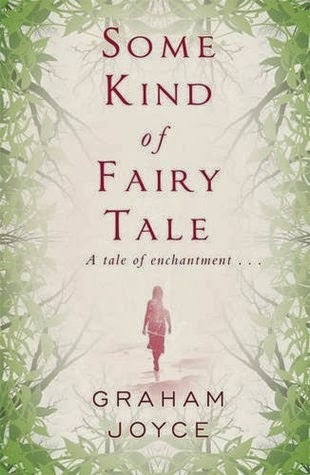 You can find the post here, and since then I've finished another book that I would have included on the list: Some Kind of Fairy Tale by Graham Joyce. 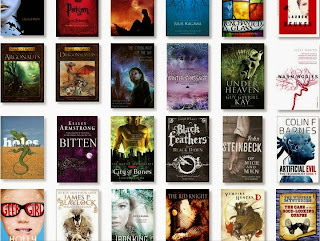 Goodreads Challenge - I managed to complete this with half a day to go! 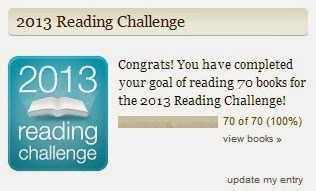 I set my challenge as 70 books, and I actually read 72 books this year, but two of them were not listed on the site. 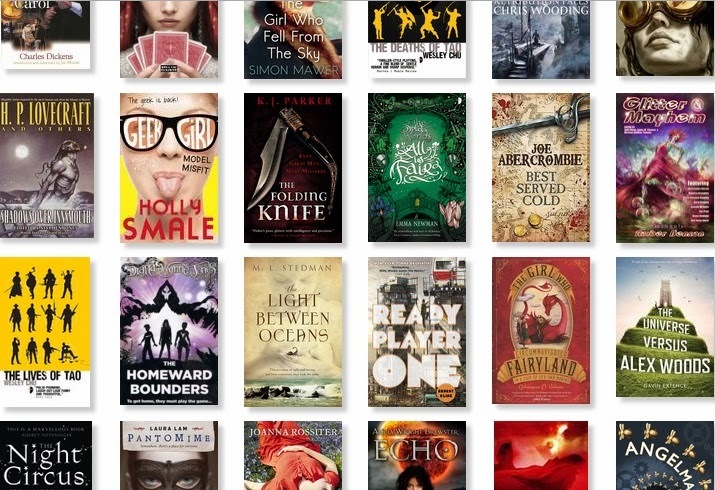 British Books Challenge - I completed this with 18 books read and reviewed. 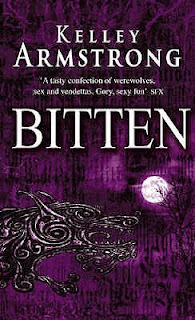 Paranormal Challenge - I completed this with 26 books read and reviewed. 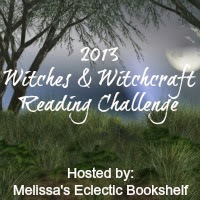 Witches and Witchcraft Challenge - I completed this with 8 read and 3 reviewed. I'd have liked to read and review more for this one, and was surprised how few books about witches I actually had. Plenty with magic, but not many with witches. 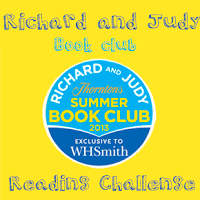 Richard and Judy Challenge - I completed this with 5 read and 3 reviewed. This was a fun challenge, forcing me out of my reading comfort zone, and it was great to try new things that I otherwise might not have picked up. Genre Variety Challenge - I completed this with 16 read and reviewed. My genres ranged from fantasy and science fiction to contemporary, crime and even a zombie western! 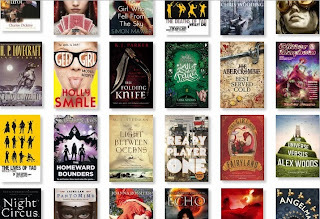 TBR Challenge - I completed this with 11 read and 9 reviewed. 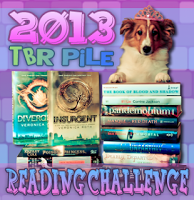 I definitely want to get more of my TBR pile finished in 2014! I finally felt ready to start sending out short stories, and have had some successes! Next year I’ll have stories appearing in three anthologies – The Sword and Laser Anthology, Women Writing the Weird 2, and Missing Monarchs. I’m so pleased with this, and can’t wait to get writing and sending off some more! I’ve planned, plotted and begun writing a novel. It’s still in early stages yet, but I’m feeling pleased with the progress and hopeful about finishing it next year! I attended three conventions this year – Edge Lit in Derby, Eastercon in Bradford, and World Fantasy Con in Brighton – as well as one book fair in Leicester. 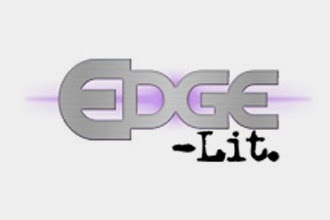 I enjoyed all of them, but I think Edge Lit was my personal favourite. 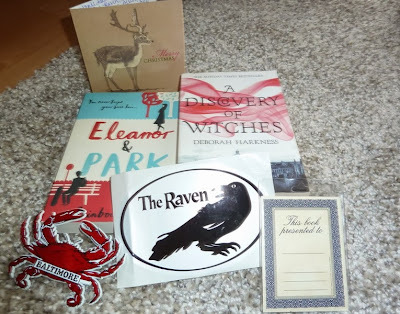 I took part in 5 readathons this year – three Bout of Books, the Wicked Valentine Readathon and the WWReadathon. 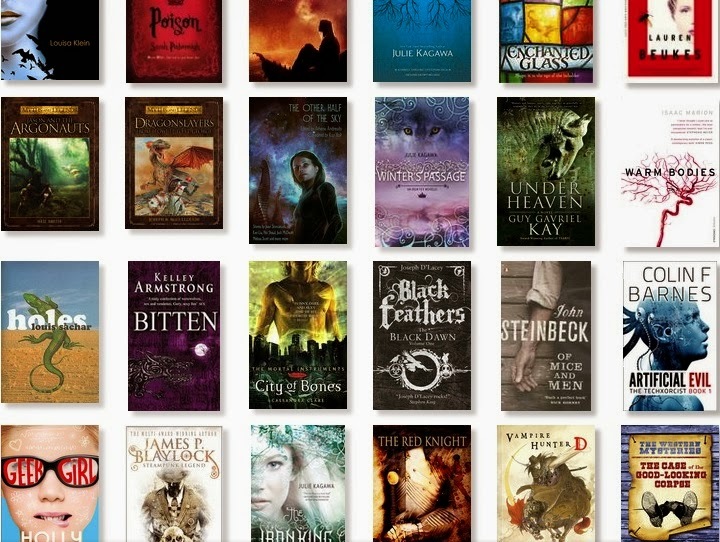 I love readathons, but haven’t had as much time to join in with them this year. I’m hoping I can be involved in more in 2014! A beautifully written story about a magical duel played out in a Victorian circus. A gorgeous book. This is a clever story with a lot of layers. 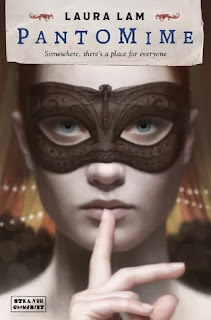 Low fantasy with no magic, revolving around banking and politics in a Romanesque setting. 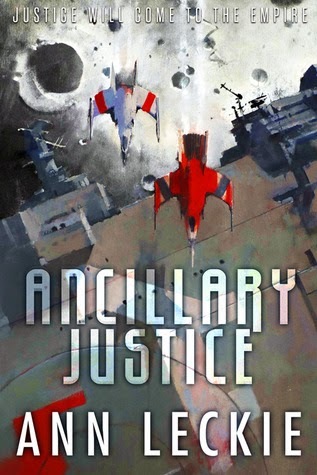 Science fiction with an intriguing society and a very unique feeling created through its approach to gender, and through the main character’s position as an ancillary unit of a larger shipmind who is now severed from the ship. A time travelling serial killer loose in Chicago. 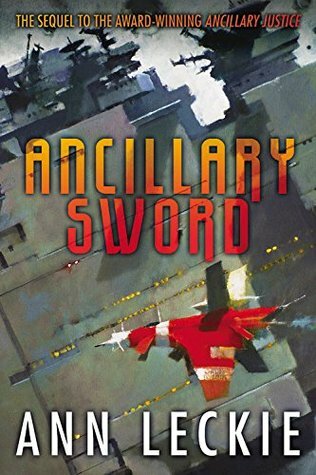 I love time travel stories, and this one is excellently written, the time travel logic works well, and the characters are brilliant. 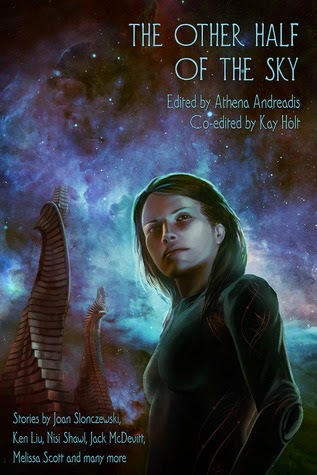 An anthology of science fiction stories about women, but also exploring non-western cultures and characters, and exploring tropes and ideas from new perspectives. Intelligent, fantastic stories. A story of revenge with a lot of depth. Gritty fantasy in which a mercenary seeks revenge on the seven men who tried to kill her and murdered her brother. A great main character and some wonderful side characters. 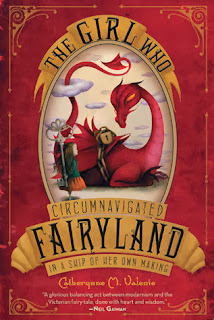 The story of a girl who visits fairyland. One of the best examples of the girl-taken-by-fairies stories that I’ve read. 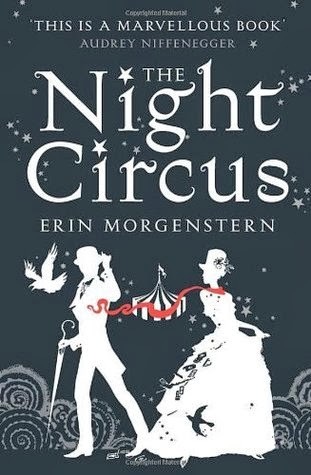 Wonderful writing and brilliant characters. I read Between Two Thorns in 2012, and followed with the last two books in the Split Worlds series this year. 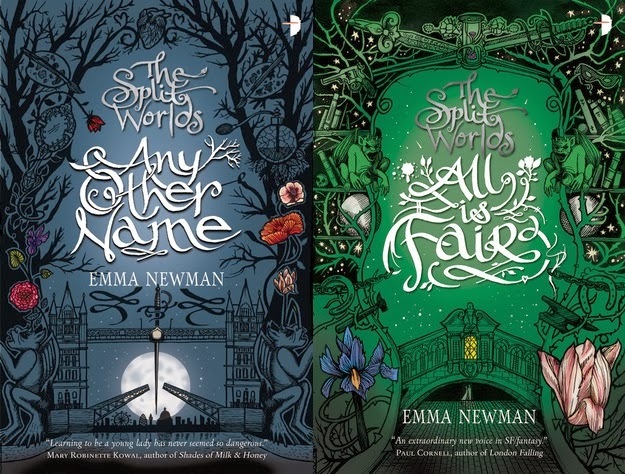 A fantasy series set in modern day Britain with sorcerers, magic, evil fae, feuds and investigations, and people just trying to drink their tea in peace. Told from a zombie’s point of view, this is a love story with a difference. The wonderful writing and black humour took me by surprise. A great book! The story of a young boy who is wrongfully accused of stealing and sent to a juvenile correction camp, but this is so much more than that. With strong themes dealing with race, fate and family, and the way in which echoes of past actions can be felt in the future, this story amazed me with its complex weaving together of seemingly separate storylines. Airship pirates in a fantasy setting! This is a fun, exciting adventure story with some memorable characters. It’s hard to talk about this one without giving away what others might perceive as a spoiler, so I will just say that the main character in this one is wonderful, the world is rich and interesting, and I’m hooked on this series now! 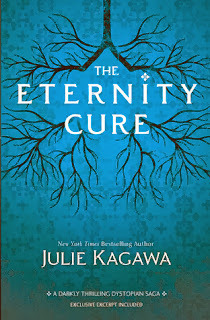 I enjoyed The Immortal Rules, and its sequel is even better! The story of a vampire girl in an apocalyptic world – it’s part vampire novel, part zombie novel, with echoes of Fallout, great characters and a can’t-put-it-down story. I have to admit that I didn’t expect to like this one so much. Werewolves in modern America, a story about rivalry, feuds, murder, and romance. A very quick and exciting read, with characters I really cared about. These stories charmed me so much. A geeky girl called Harriet is suddenly thrown into the fashion world when she is spotted at the Clothes Show on a school trip. I adore Harriet and she is probably my favourite narrator ever. The author writes her voice so perfectly, and her observations about the world are brilliant. Incredibly funny, warm and intelligent books. 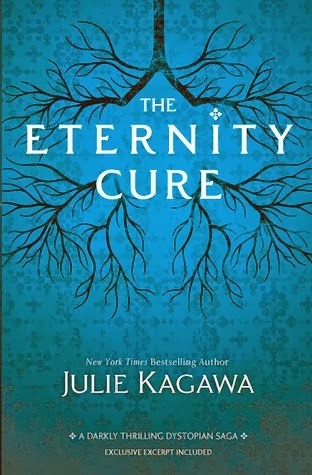 I finished this one in December and haven’t even had a chance to review it yet, but I had to add it to the list. An extremely dark and disturbing story in which fairytales are expertly woven with real events in 19th century Vienna and at a Nazi concentration camp in the final stages of the war. Impressive writing and a story that will stay with me for a very long time. 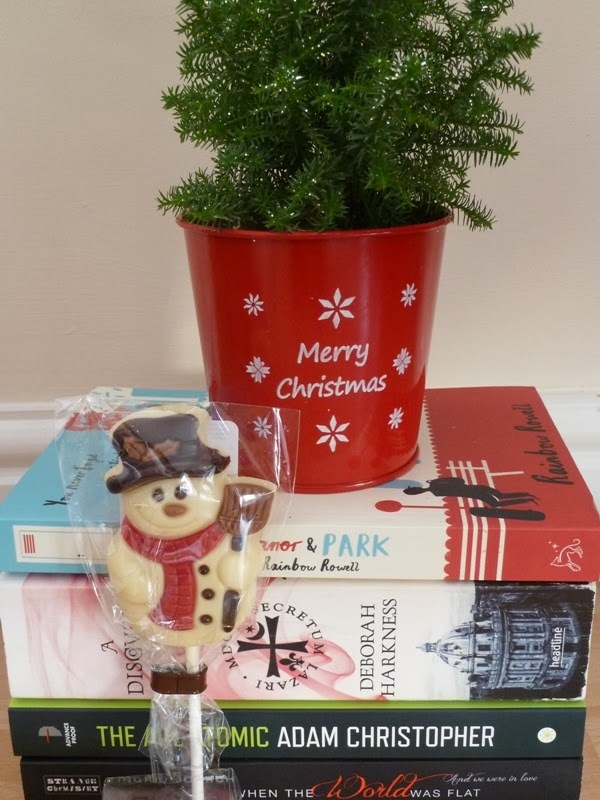 Showcase Sunday #39 - The Christmas Edition! Exciting News! Angry Robot Internship! This is a very dramatic list, mainly thanks to my internship at Angry Robot. I've brought back so many books from the office, and we wrapped them all up and put them under the tree! My husband gave me some great movies, including Miracle on 34th Street - he was amazed this year when he found out that I'd never seen it, so he bought me it for Christmas! He also gave me three Harvest Moon games for the Wii because I was just a little bit obsessed with the last one we had. I don't know what it is about them, just love them! This is an intimidating book. Weighty in terms of themes, the prestigious prizes it has won, and the clever structuring and style that reflects the planets and the phases of the moon, it is also literally an extremely large book. It’s also a book that seems to have divided opinions considerably, so I was very interested to see what I would make of it. The story begins with the arrival of Walter Moody in Hokitika, New Zealand, in 1866. He walks in on a meeting of twelve men at the Crown Hotel, and is soon pulled into their discussion of a series of events, and of the sinister man who seems to be behind it all somehow: Francis Carver. This section of the novel immediately drew me in; mysterious events, a group of such different characters all driven together by fate, a historical setting and a fascinating look into a New Zealand Gold Rush town – all great elements! The events themselves are related in a slightly odd way; each person describes what they experienced to Moody. This isn’t related in direct speech from the person telling their tale, but described in third person as a summary of the events they have just told to Moody. Within these stories, other characters might tell their own story, sometimes also related in third person rather than direct speech. This can become quite confusing, particularly if listening to the audiobook, as it is harder to flick back to find out whose point of view we are seeing events from, and because events are often told in the narrator’s voice rather than a recognisable character’s voice. This isn’t a fault with the audiobook, but is a result of the slightly odd way that the story is related in the beginning section. There are also moments where the reader appears to have been given more information than Moody has been told – for example, would a man describing to another man something that happened to him really break off mid story to deeply analyse another person’s character? After the meeting of the men at the Crown Hotel, the story continues and slowly little things begin to be revealed as the chain of events is unravelled. It becomes clear that every detail mentioned in the story is significant, that everything ties in to the greater story that’s being told. This is extremely well planned and executed, and I really enjoyed seeing all the different threads pulling together. This doesn’t happen all at once, at the end of the book, but steadily and surely throughout the story. It’s carefully and brilliantly done. The sheer amount of characters in this book is a little confusing to begin with. I had a hard time keeping track of who was who, something that is a bigger problem in the audiobook because you can’t flip to the front for the cast of characters. Thankfully, the narrator is very skilled at giving each character a distinct voice, so though I couldn’t always remember at first what a specific person’s background and profession was, I always knew exactly who was speaking. The large cast of characters becomes a strength later on in the story once the reader has wrapped their head around who is who, much like in something like Game of Thrones, where the interactions and connections between different people, the little co-incidences, and being able to see a situation from all sides, really brings the whole thing to life. Unfortunately, some characters were more rounded out than others, and some who were explored deeply at the beginning were almost forgotten later. In the end, perhaps there simply were too many people for one book to deal with. 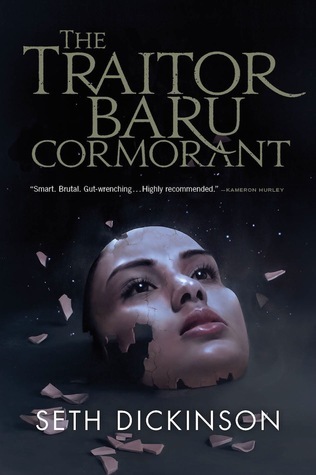 The main characters are each connected to a celestial body, astrology being an important theme running through the novel. This was clever, but I do wish the author had let the reader assess each character for themselves through the characters’ actions, rather than suddenly breaking the story each time a new person was introduced in order to describe their disposition, hopes and dreams and character traits in extensive detail. The structure of the novel was another aspect that reflected the movements of the heavens, in this case the phases of the moon. The early chapters start off very long, becoming shorter and shorter in proportion to the waning of the moon until the final chapters are mere slivers of the beginning sections. This structure is alluded to on the front cover of the book. I really liked this and thought it was a clever touch, but there were some points where the story perhaps suffered a bit from the need to stick to this structure. Most notably this was in the middle, where the story began to drag a bit, for me, and at the very end, where the chapters were so short the introductory sentences at the beginning of each one had to sum up all the events, telling us rather than showing us what happened. However, what I did love about this approach was the strong fatalistic feeling that this connection with the heavens gave to the story. There are also many references to the paranormal – ghosts, séances, astrology, visions, weird connections between people. Even the name ‘Crown Hotel’ has associations with Dracula. I loved these aspects, and I particularly liked how many of the stranger happenings were explained logically, but not in a way that entirely convinced, or that wrapped up everything. For example, the strange connection between two characters was still a little mysterious, and I don’t think Moody’s vision at the beginning was ever really explained. This leaves the reader with the feeling that there are still mysteries in the world, and forces that move us beyond our control. 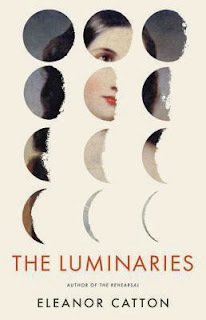 The Luminaries is an interesting book, different in many ways from things I’ve read before. 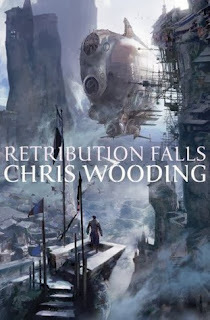 I appreciated the clever structure reflecting the themes and ideas in the story, as well as the possible supernatural elements and the feeling of fate guiding the characters’ interactions. 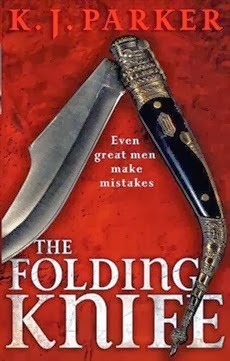 I do think the book was too long and that the story would have benefited from some cuts, especially in the middle section, and in some places the book was perhaps a little too clever for its own good. But overall this is a fascinating and impressive read in which everything is connected and all events pull together into a satisfying ending. 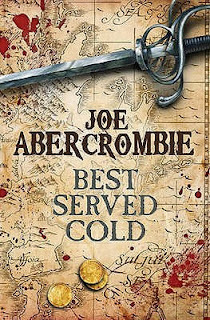 The narrator reads the audiobook extremely well and I really enjoyed listening to it! I received a review copy of this audiobook in exchange for an honest review.